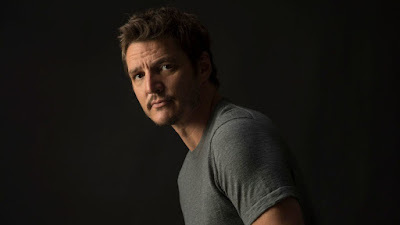 It was recently announced that Narcos and Game of Thrones actor Pedro Pascal had signed on for an unknown role in the upcoming Wonder Woman 2. Now we have learned a little bit more about who he may be playing. Reported by The Tracking Board, Pascal is said to be portraying “a slippery conman known in the script as Rex.” The site goes on to say that this the only new male character in the sequel who could be described as a lead role. Additionally, the report says that Connie Nielsen, Lisa Loven Kongsli and Doutzen Kroes will return as the Amazonians Queen Hippolyta, Menalippe and Venelia, with cameos from Ewen Bremner (Charlie) and Said Taghmaoui (Sameer) expected. The site also claims that previous rumours that Chris Pine’s Steve Trevor could return are likely true, but are unsure how they will manage to pull off his resurrection. Jenkins has worked with Pascal in the past, on the TV movie Exposed. Pascal's other recent credits include Sweets, The Great Wall, and Kingsman: The Golden Circle. He also stars in the upcoming sci-fi film Prospect from Chris Caldwell. It was previously confirmed by director Patty Jenkins that Kristen Wiig will play the main villain of Cheetah. Gal Gadot and director Patty Jenkins are both returning, with the film set to occur in the ‘80s in the Cold War. The film is said to be top priority for Warner Bros, after the first went on to gross $821 million worldwide.